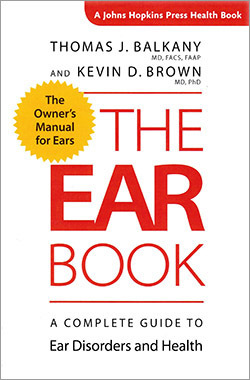 Emergency nurse practitioner Rubina Lander reviews The Ear Book: A Complete Guide to Ear Disorders and Health. This book has been written for a public audience and is not intended for the healthcare professional. However, this does not take away from its usefulness as a good text for nurses who work in urgent care treating minor ear conditions. The book is set out in six chapters which guide the reader from understanding basic anatomy through to examining common complaints of the outer, middle and inner ear. Each disorder is discussed briefly, with its signs, symptoms and current treatment strategies reviewed. There is also a useful chapter discussing the various diagnostic interventions used in everyday general practice and otology. Throughout the book there are simple and clear anatomy diagrams that allow readers to comprehend the otology system without feeling overwhelmed. The book was written by American authors which has created some dialect and statistical variances that may not be of use or relevant to the UK market. Although a useful book for a quick reference, it does not give the reader the depth of knowledge you would hope for compared to an otology or ear, nose and throat textbook produced for the health professional market.